In 1999, Clowns Without Borders Spain went to Armenia to attend orphans affected by the 1989 earthquake. In March 1999, Clowns Without Borders Spain performed shows in Chiapas, Mexico. In January 1999, Clowns Without Borders Spain went to Algeria to attend refugees in Tindouf refugee camps. In January 1999, Clowns Without Borders Spain toured in El Salvador, in the cities of Ciudad Romero, Calderitas, Amatitanes and San Carlos Lempa. In February 1999, Clowns Without Borders Spain traveled to Mozambique to attend war oprhans. In 1999, Clowns Without Borders Spain went to Albania in order to attend the Albanian and Kosovo refugees suffering from the new conflict in Ex-Yugoslavia. 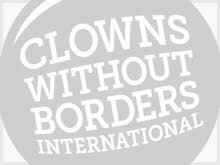 Clowns Without Borders Sweden implemented a project in Macedonia in 1999. The artists performed 10 shows to 3000 people. In 1999, Clowns Without Borders USA continued its ongoing project in Chiapas, Mexico. They performed 28 shows for 14000 people.